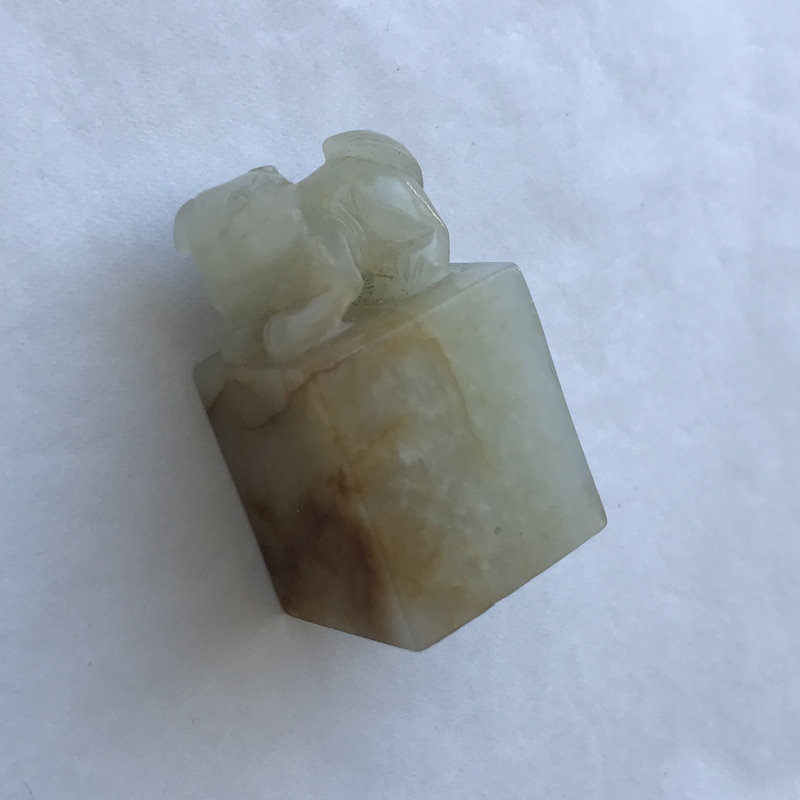 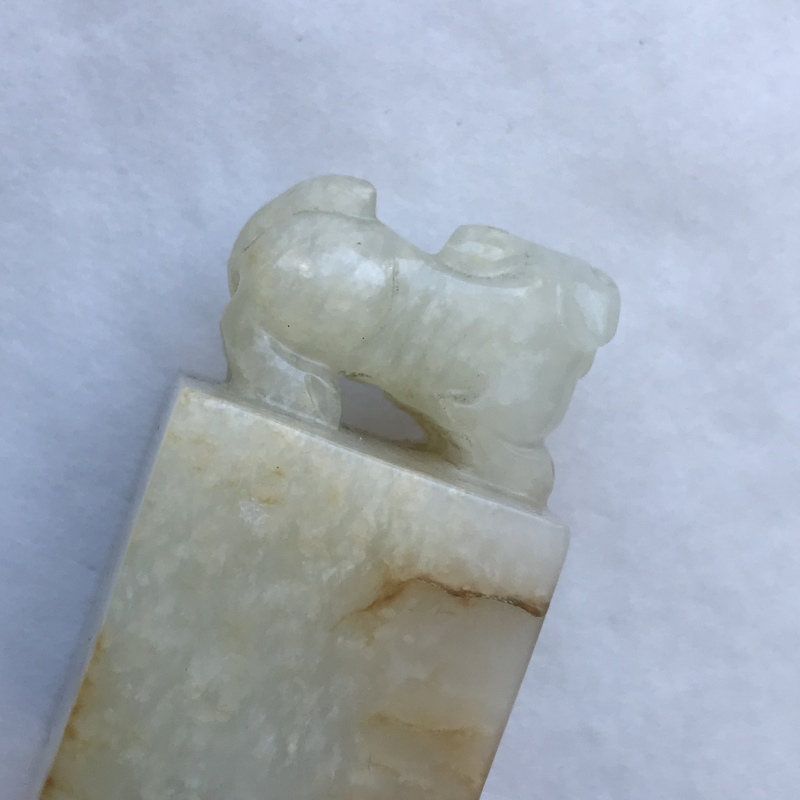 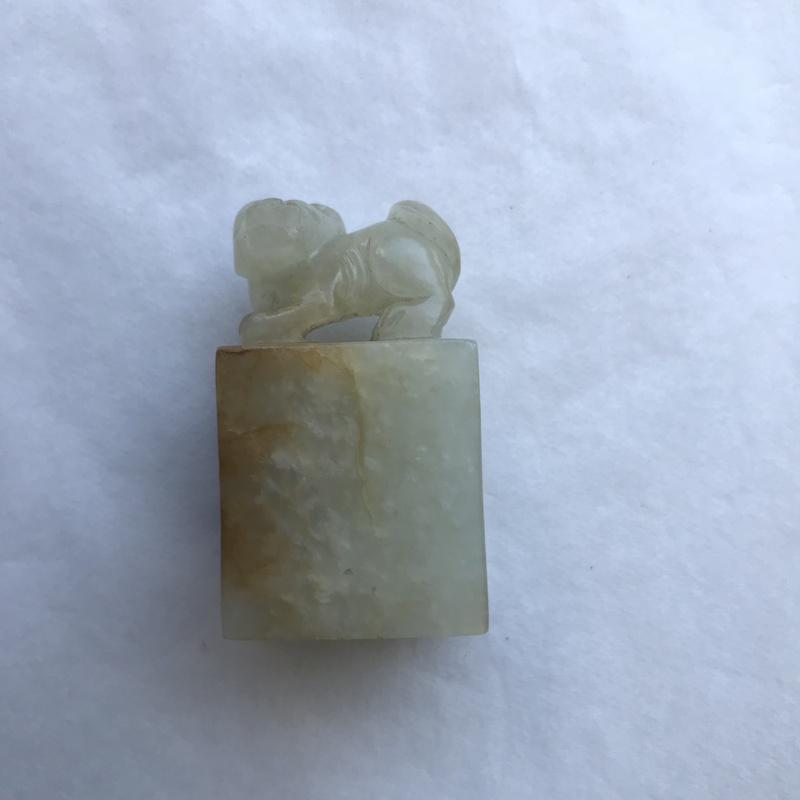 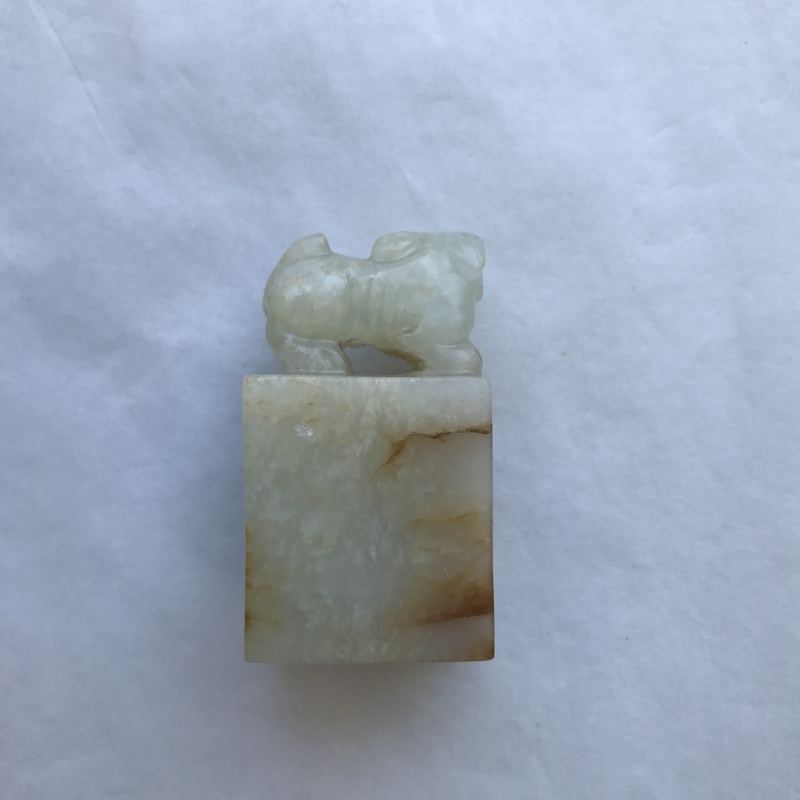 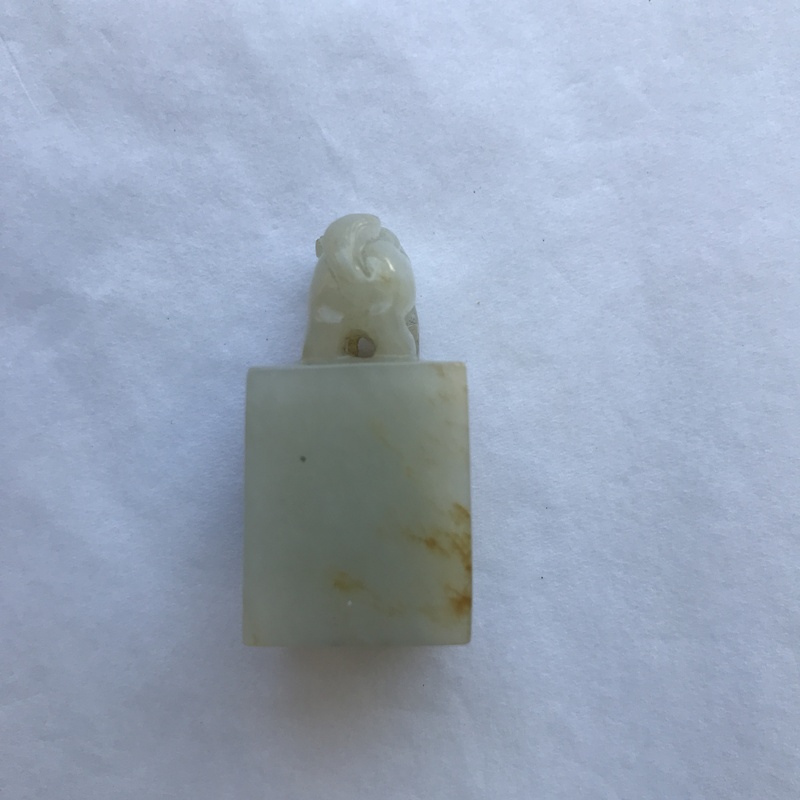 Small Nephrite Jade Seal, China, square form surmounted by a carved foo dog, pale celadon stone with russet markings, illegible incised marks on base, ht. 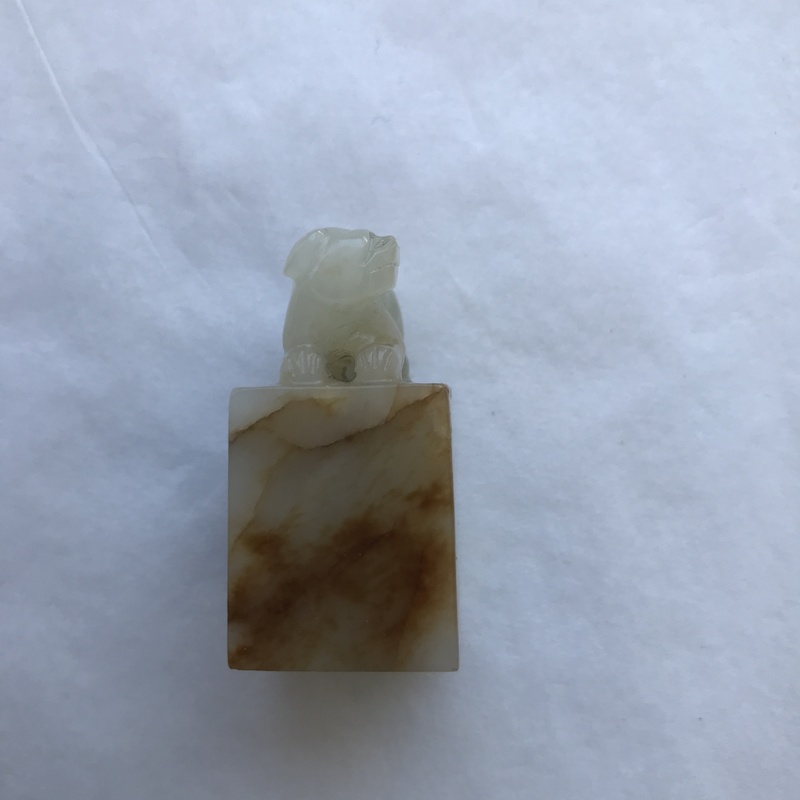 1 1/2 in. 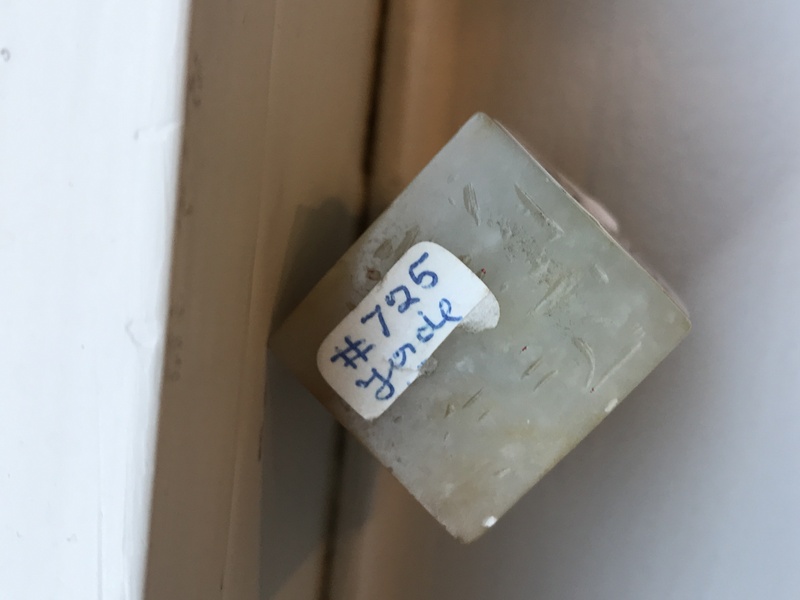 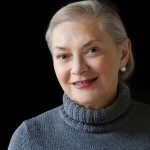 Provenance: From a Maine estate.